Hello everybody! I am back, and I got tickets to giveaway so listen up! 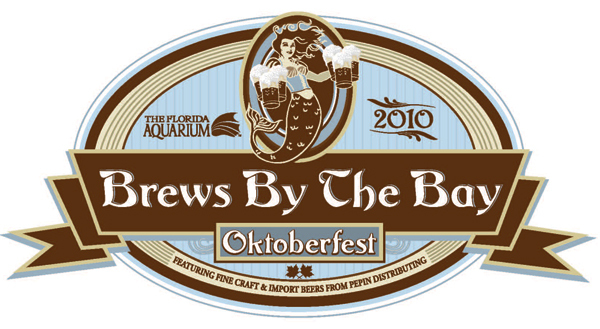 The Florida Aquarium’s 2nd annual Oktoberfest beer and food tasting is gonna be a sweet event! I got two tickets to Brews by the Bay, taking place this Saturday October 9! Since I am such an awesome guy, instead of keeping all of these tickets to myself, I am giving away (2) tickets to my favorite fans and followers (that would be you guys)! I must really be nice, because this is a pretty sweet prize to be giving away. Check out the list of food and beer vendors expected to be in attendance. True or False - Metabolic Acidosis occurs when stressed sharks quickly switch to anaerobic metabolism building up an excess of lactic acid. Because it is an acid, it has the effect of lowering the pH of blood, making it acidic. In what exhibit at the Florida Aquarium would you find the 300+ pound Goliath grouper? True or False - The Florida Aquarium’s Sea Stars Program grants FREE child’s admission to the aquarium with a paid adult (adults pay $10 per person; maximum of two adults at this rate). For students with all C&apos;s and/or D’s or students with average attendance. I think I may have stumped everyone this go round! These questions are hard! I had to look them up on the Florida Aquarium website, so crawl through it and see if you can answer! Even if you don&apos;t win today, be sure to go to the Brews by the Bay website and purchase your tickets!